A gathering of information and media officials from the Cooperation Council of Turkic Speaking States (CCTSS) met in Astana, Kazakhstan recently and signed a protocol to create an international Turkic news channel. The protocol was prepared between the national television channels of the Turkic Council member states Azerbaijan, Turkey, Kazakhstan and Kyrgyzstan. 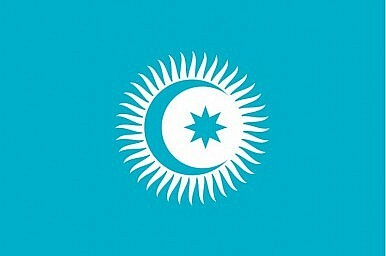 The Turkic Council was formed in 2009 to promote cooperation among Turkic speaking countries. With the exception of Tajik (which is an Indo-European language related to Persian), the languages of modern Central Asia (Kazakh, Kyrgyz, Turkmen, and Uzbek) are Turkic. Turkmenistan and Uzbekistan, while potential members of the council, have not joined. drafts of memorandum of understanding on cooperation among news agencies, a protocol of cooperation among national TV channels, and a declaration of cooperation on information and media which were then signed during the first meeting of the ministers and high officials for information and media from member states. The meeting of information and media ministers and high officials was attended by Ali Hasanov, Assistant of the President of the Republic of Azerbaijan, Altynbek Maksutov, Minister of Culture, Information and Tourism of the Kyrgyz Republic and Şenol Göka, Director General of the Turkish Radio and Television Corporation. They were hosted by Asset Issekeshev, Minister of Investment and Development of the Republic of Kazakhstan. Ahead of the June sporting event, human rights organizations denounced the Azeri government for arresting critics and denying entry to a journalist from the Guardian. “In addition, with the expansion of our success as an independent state we often face media attacks based on preconceived, false accusations,” Hasanov said. The initiative to create an international Turkic news channel can be viewed, at the extremes, in two ways: as either an attempt to correct the international record about Turkic speaking countries or an effort to institutionalize the dissemination of propaganda. The truth is somewhere in between. While there is great value in news created and disseminated in the native language by local journalists providing an experienced and culturally nuanced perspective on regional developments, some of Hasanov‘s comments are worrying with regard to control of the messages communicated. One of the aims of establishing such a channel is “consolidating efforts towards preventing smear campaigns against our countries.” Hasanov also says,“I would like to note that this channel will respect internal affairs of countries.” What exactly does that mean? Journalism is, in the simplest definition, a way for people to provide checks and balances on governments–and that often means poking into the inner workings of politics and policy. Although Hasanov’s comments are clearly colored by Baku’s recent experiences under the sometimes harsh gaze of international media, the experience is mirrored throughout the Turkic world.